I have five of the old Choose Your Own Adventure books. In these books, you are a kid and you go on an adventure. On the first pages, it tells you a little about who you are and what is happening. Then the book give you your first choice. That first choice can decide your entire adventure or just a little part of it. Throughout the book, as you're reading, you'll get a bunch of little questions that will decide what is happening and where your ending will be. Most of the time, there will be two choices, but sometimes, there are three! Your story can end really fast and short or it can take a long time. Each book has many different endings and you can read it a bunch of times to find the ending you hope for. In Skateboard Champion, you are trying to get the ending where you become a skateboard champion. In Space Vampire, you go on a mission to try and destroy a space vampire. In The Mystery of Chimney Rock, you and your friends have to escape from an old house. In Master of Tae Kwon Do, you are trying to save your friend who you met in China. In By Balloon to the Sahara, you are flying in a hot air balloon and drift another land. In each book, you have to decide how you want your story to go. 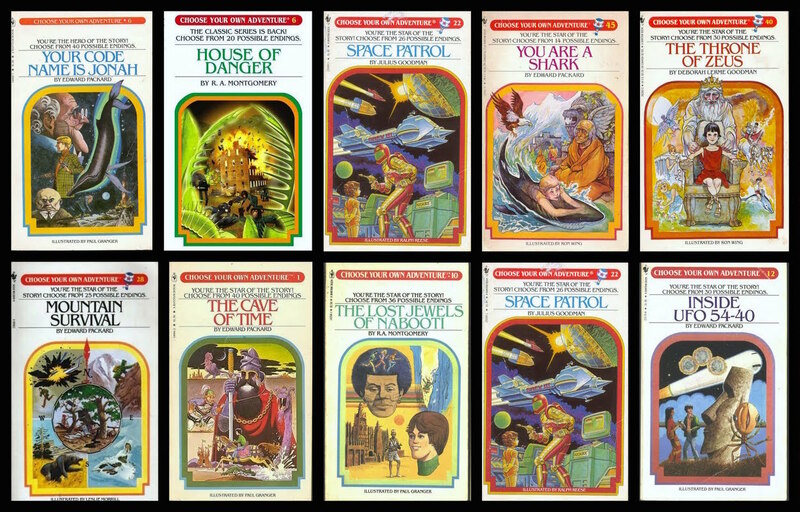 There is also a series of Choose Your Own Adventure for younger readers.